We need to verify your age are you 18 or older ? 5 years on the average. Produced in Armenia from the high quality distillates aged no less than 3 years on the average. distillates aged no less than 5 years on the average. distillates aged no less than 3 years on the average. Volume-40% Produced in Armenia from the high quality distillates aged no less than 5 years on the average. 3 years on the average. 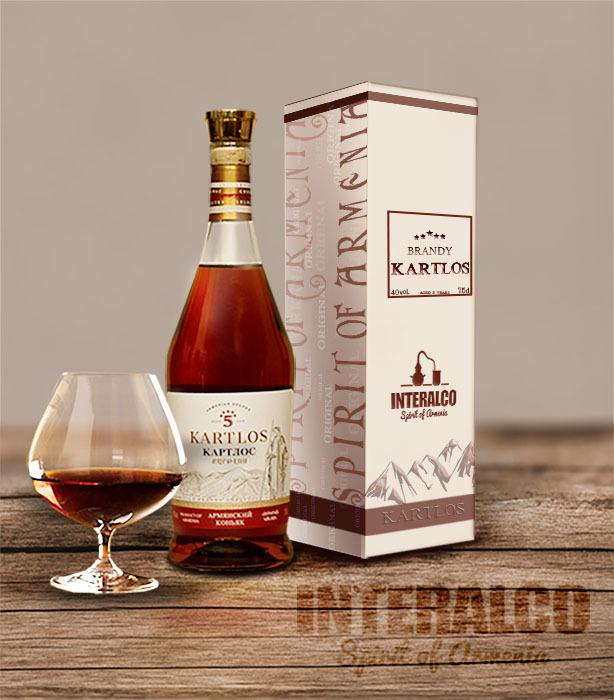 “INTERALCO” LLC offers its products not only in the form of bottled cognac, as well as in the form of cognac spirit. Due to its high quality it is of great interest and great demand among brandy producing companies. The company offers a young, 3-year and 5-year old brandy spirit, with its special taste and bouquet, the high quality of which is confirmed by different international laboratories. The company offers brandy spirit, born from the sweet and fragrant grape of Ararat valley, aged in French oak barrels, which convey peculiar delicate notes to alcohol.